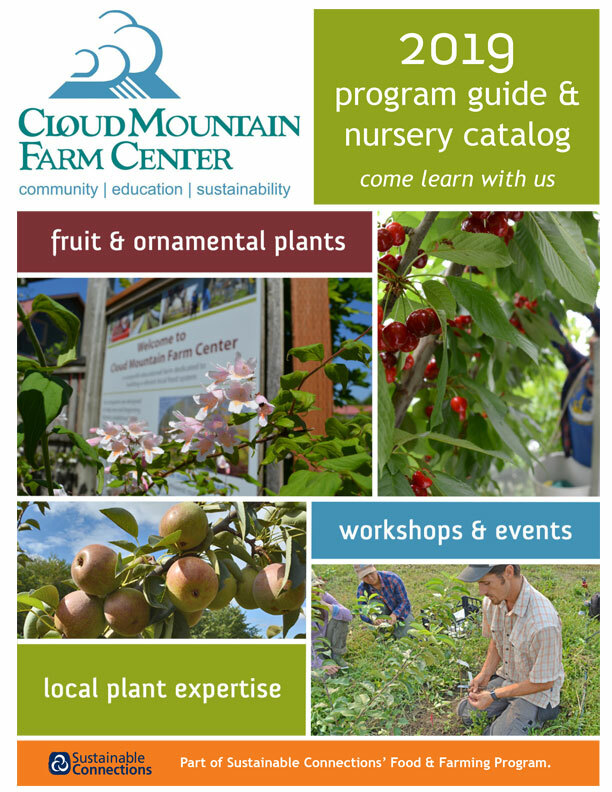 The Center has an exciting new website that has a section entitled Growing and Variety Trials. 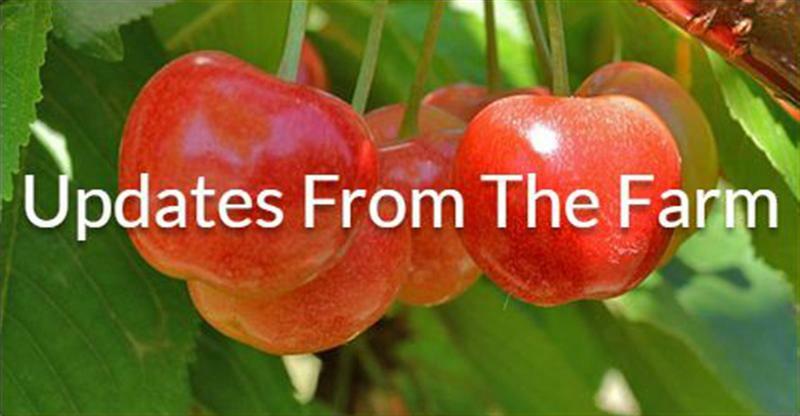 This part of the website will over the next year begin to populate practical grower information on the numerous trials on going at the Center. Today I’ll outline some of the promising experiences and findings from our ten year trails in Organic Peach growing. This post will focus on Peach Leaf Curl resistant varieties. Cloud Mountain planted its first peaches in 1980 of which Frost peach was one of our first varieties in the ground. It was the first Leaf Curl Resistant peach to be grown in Western Washington. Since then, numerous other promising varieties have been added to the list of Curl resistant, mostly suitable for home production. Frost, Avalon Pride, Salish Summer and Betty are the selections in this category that we have in our trial. The genetics of these Curl resistant varieties seems give all of these selections a fuzzy nap to their skin. Some find that distasteful, however when you bite into any of these selections you will likely forget about the fuzz! The information we have been gathering from our trials is beginning to demonstrate to us that Peach Leaf Curl resistance is one of the keystones for successfully growing peaches in our region. 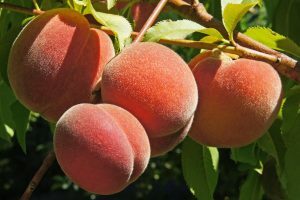 If you want to grow peaches at home and not do any spraying then the leaf curl resistance varieties should be what you select from. An over whelming majority of our experience is with Frost. However we have 5-6 years’ experience with Avalon Pride, and Betty. For Salish Summer, we have only had two small crops. Below is a list of our observations with four Leaf Curl Resistant varieties. Avalon Pride- Fruit quality has been firm, dense flesh, with a pleasing texture. Appears sensitive to one of the cankers, either Bacterial or Cytospora. Tree shows little bud damage in the spring from Brown Rot. The experience at Cloud Mountain and the feedback we have received from customers is that Avalon Pride’s fruit quality has been very flavorful and people are continually surprised we can grow peaches of this quality in our climate. Salish Summer- Very disease free looking tree at bloom, in several years of observation Salish Summer shows the low amounts of brown rot in its buds or in the adjacent bark. It has a lighter bloom than most varieties and lighter fruit set in its first couple harvests compared to other Curl Resistant varieties. Fruit quality over the first two years hasn’t been great, however, judging fruit quality for only a few of the earliest years is folly. Please keep in mind that our experience over decades of growing peaches, you simply can’t judge from the fruit couple of years of fruiting a variety. Peaches have never expressed the best qualities of any variety in its first few years. S.S. is white peach, on a tree that spreads easily for open center training. 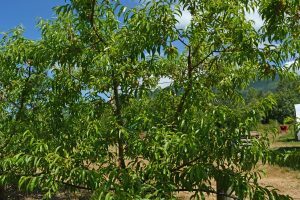 Frost– Cloud Mountain has been growing Frost peaches for over thirty years and it has always been a very Curl Resistant tree. Its flavor is consistently up there with any others in this class fruit. We have seen it bear over two hundred pounds of fruit on the rare year, with respectable yields consistently. Our first Frost peach tree broke apart after 25 years from carrying one of those big crops. However, its down sides are two fold; I think it’s more prone to brown rot infections in the spring than other Curl resistant varieties, which makes pruning more important on an annual basis. These infections seem to be more in the bud than in the bloom as it can consistently bear heavy crops. The other issue with Frost is the fruit texture, which can be on the stringy side, making it less suitable for canning. Betty- This peach literally came out of Betty’s compost pile in Ferndale. Fruit quality has been superb, rich dense flesh that rivals any of the 16 non Leaf Curl resistant varieties we have in our commercial trials. This fruit thinned properly is outstanding. Although we have produced only a few crops on the tree it really looks promising. Time will tell. In really only 2 years of fruiting it has shown the capacity that it can easily overset fruits as it has for us both years of harvest. Its brown rot resistance so far has only shown very minor damage. If you are growing on a good site where frost isn’t an issue you will likely need to thin lots of fruit off this tree or you be producing small mediocre fruits. Fruit on any variety should be thinned down to one peach every 12- inches. We have observed no canker symptoms nor experience so far on this variety. Do any of the leaf curl resistant varieties produce a free-stone fruit? If so which ones. I live in Lewiston, Idaho. All but Salish Summer are semi-freestone. No, we ship only within the US.